© Stringer . / Reuters Patrick Beaudry, founder and leader of anti-immigrant Quebec group La Meute. This past weekend, far-right activists rallied against asylum seekers on the border between Quebec and New York as riot police and counterprotesters gathered nearby. 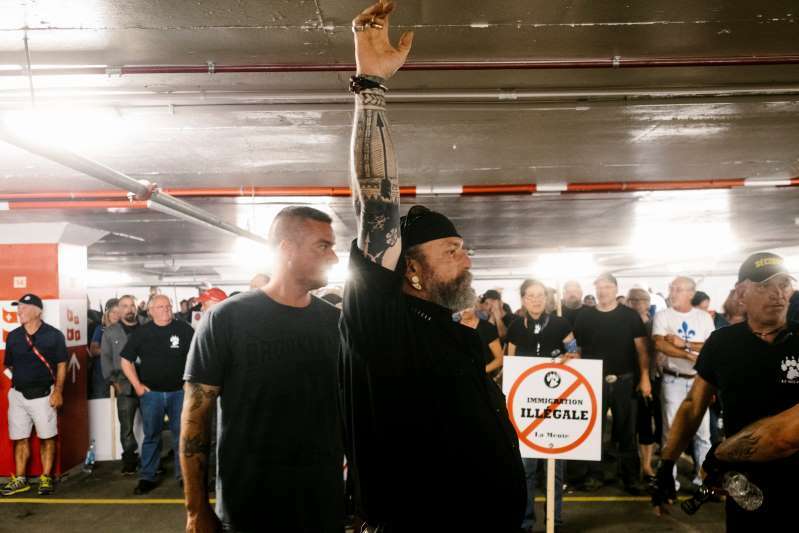 Members of the Three Percent — a militia founded in the United States that has recently spread to every Canadian province — were at the event. It’s just one of the many far-right groups that have started chapters in the Great White North in the months since Trump’s election. Two mass killings in the last 18 months have added to Canadians’ fears of violent extremism. Both attacks were highly unusual for a country that has mostly been spared the kind of deadly violence that has become all too familiar in the United States.